Well hello! It was not my intention to take the entire summer off from work, but that’s what happened. And it was lovely! But now it’s time to get back to work. 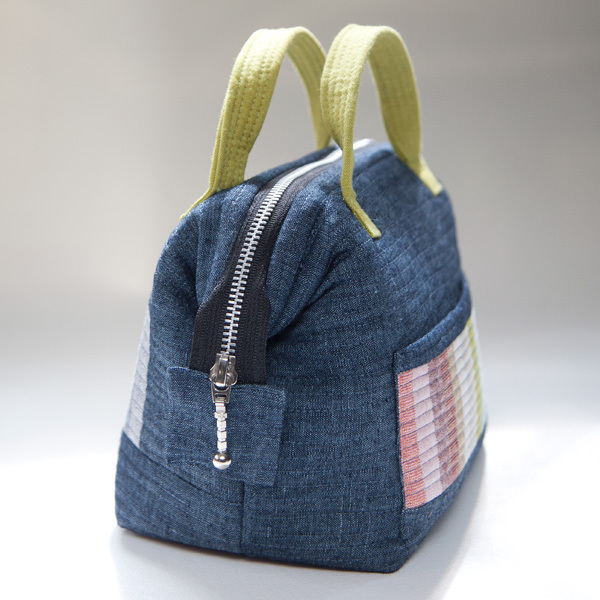 The kids are back in school, I feel more refreshed and definitely motivated to finish my zipper project. Bags like this open super nice and wide and stay open, so they’re perfect for project bags. You’ll be seeing a few more of this kind of bag over the next while (so far I’ll be making at least 5 more, all different). If you know of any other patterns with this style, please let me know in the comments. I really do want to try them all! I used a metal zipper, as I wanted the zipper to be very durable. And pretty. I added a matching panel from the Essex bundle on the other side of the bag. The lining is an older Anna Maria Horner print that meshed well with the Essex bundle. 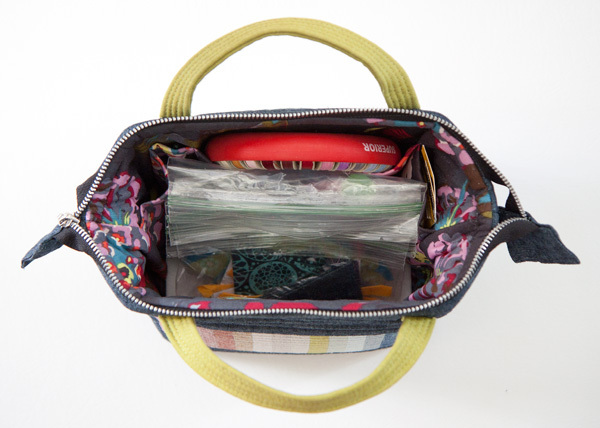 This bag has foam inside, so it is nice and springy and stands up very well, even when full. There are even a few organizational pockets inside. 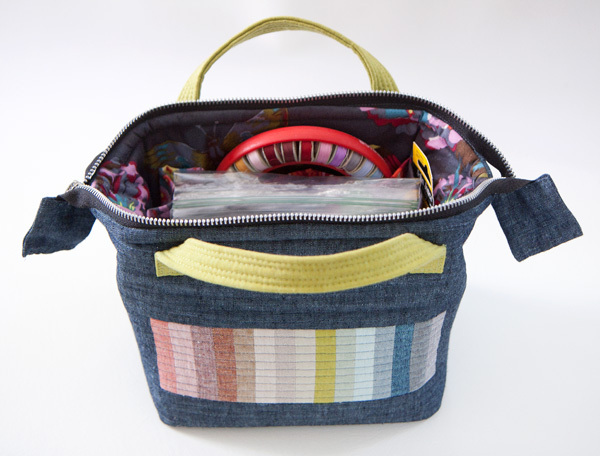 I’m finding this bag simply perfect for toting around my large EPP project that doesn’t fit in my Sew it Goes tote. It would also be perfect for a small knitting project. I simply LOVE this bag. It is very high on my list of contenders for Christmas and teacher’s gifts this year… I’ll be whipping up the other small ones soon so I can decide! Hi! 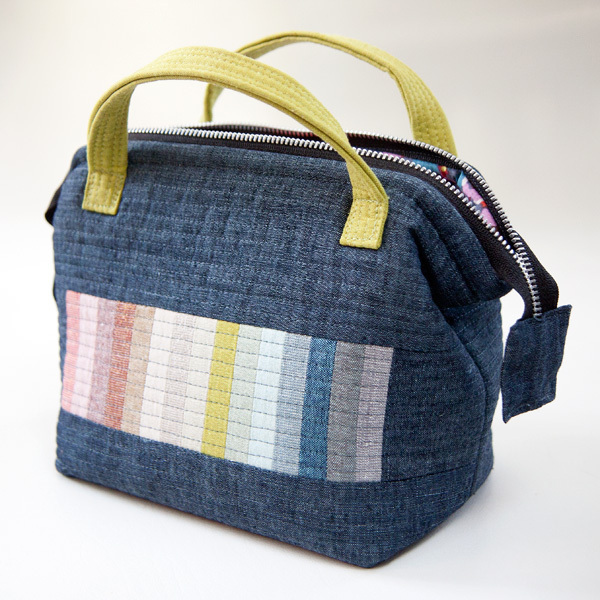 Emmaline bags has a pattern like this! Hi there, thanks for the review! I just bought the pattern after seeing how nice yours came out. 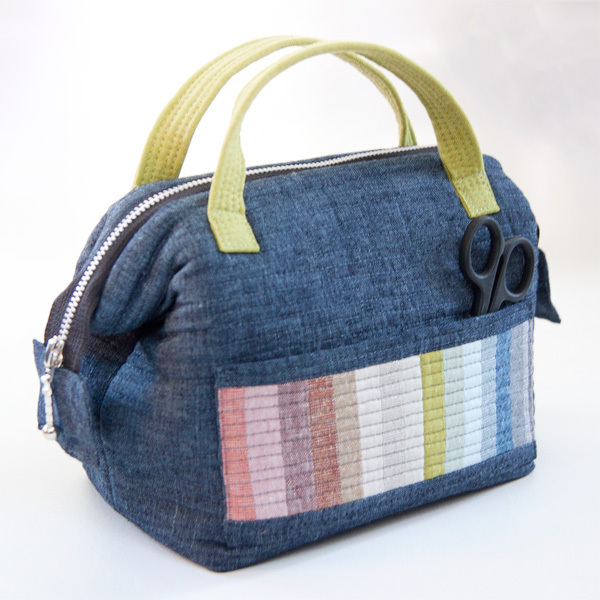 Swoon Patterns has a doctor’s bag called Nora that’s on my list too. 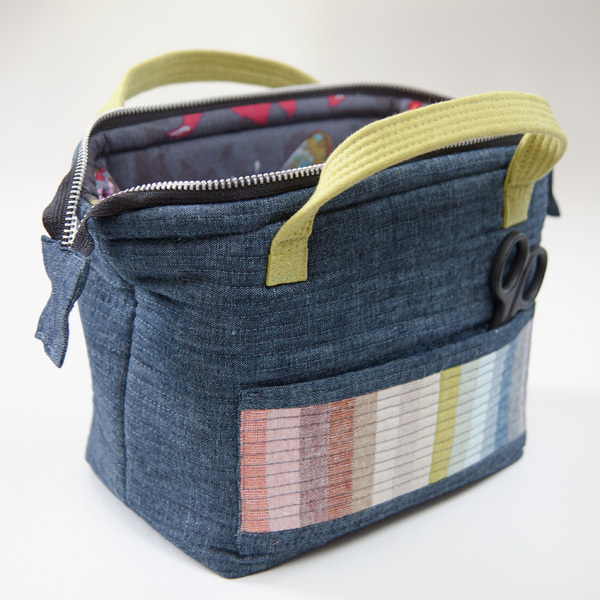 I have just completed this same bag- although the inner bottom is too large, so not quite a cubeHowever ,I’m happy…..I also prefer the way you have put your handles on!